Well, folks, it’s that time of year again, when the axial tilt of the earth means that we’re heading for the annual solstice celebrations … Yule … Beiwe Festival … Christmas … Chawmos … Shab-e Chelleh whatever you’re having yourself! However we chose to celebrate it, there’s generally a lot of eating, drinking, being thankful for having survived the worst of the winter, and gift giving. It was with an eye to offering suggestions as to what moneyed loved ones might wish to purchase for the archaeologists in their lives that I thought about asking on my various Facebook pages (Irish Radiocarbon & Dendrochronological Dates | The William Dunlop Archaeological Photographic Archive). Unsurprisingly, but largely unhelpfully, many of the folk who responded to my pleas for suggestions asked for jobs … some of the more brazen asked for cash and Argos vouchers! Leaving those aside for a moment (along with the person who asked for a time machine) some interesting suggestions were made. Perhaps not really for me ... but I would look awesome in them! … there’s something for the fashion conscious female osteoarchaeologists in your life there’s the Too Fast X-Ray Boot. Staying with clothes, there’s the perennial favourite archaeologist’s T-shirt: Archaeologist By Day. Ninja By Night. Also for the osteos among us: An I Found This Humerus T-shirt by Thomas Kay (tom@tomstshirts.ie) … I’m informed that he does mugs, mouse mats, jigsaws, coasters etc. – go talk to him and check out his stuff! Along the same lines, there’s a rather good Archaeologists Don’t Dig Dinosaurs one too. One idea that I thought was really beautiful and thoughtful was the suggestion for giving a copy of the 1st edition Ordnance Survey map of the recipient’s home or favourite area. You can do this for both the Republic of Ireland and NI/UK too. Another one that’s just excellent is Abarta Audioguides [Facebook Page | Website]. For truly tiny prices you can get what is turning into an excellent series of audio guides to various historical and archaeological sites. Heading for the Rock of Cashel, or Clonmacnoise? Download one for a mere €1.99 and be entertained and enthralled! If you’re anyway familiar with this blog, you’ll probably already realise that I have a huge love-thing going on for Wordwell Books, especially it’s magazine Archaeology Ireland … so we’ll get this out of the way now: go get a subscription. It’s amazing value and keeps you up to date with all the latest in Irish archaeology. Not only that, but you’ll get the latest issue of their amazing Heritage Guides series and access to the Irish archaeological content on JSTOR. For what they’re charging, it’s an incredible offer! I don’t know anything about them, but a friend suggested that you might like to explore some of the wares of Baltimore Knife and Sword. I can only go by the photos on their page, but it looks like pretty cool stuff indeed! Well that’s the lot from my Facebook friends … I was already planning on recommending the Archaeology Ireland subscription and Abarta Audio Guides, but it is nice to have your thoughts paralleled by others! But what would I recommend for you? Well … as far as I’m concerned, there is one major present type and then there’s all the rest … for me there is no better present than books! … you really can’t go wrong with a book … and best of all, there are archaeology books! In my head archaeology books are in three different categories. There are the ones I’ve read in the last year that I want to shout about; there are the ones I’ve bought, but not gotten around to reading; and there are the ones that have been published, but I’ve not yet gotten round to buying (or have been given). That about wraps it up for the books, as I am not going to recommend any book that I’ve not at least had a look through … no matter how interesting they appear! Besides, I’d have nothing left to write about for next year’s list! What about other gifts? … well here’s a brief run through of some of the stuff I’ve seen and would love to receive (hint hint!). First on Santa Chapple’s list is the British Museum … I just love this place! … I think I’ve only been in London once in the last 30 years when I haven’t visited there. Pretty much everyone in my family knows that if I ever had the money, the first thing I would spend it on here is a bronze Replica of the Gayer Anderson Cat … there is not a home in the world that would not look better for having one of these sitting quietly in a corner smiling out at you across eternity. If you’re going to be throwing that kind of money about, you may as well splash out on the copy of the Hypnos, The replica of the Horse of Selene, and the Chatsworth Apollo. You may as well complete the list by getting your very own replica of the Warren Cup, though I would recommend the solid silver version over the regular one … if you’ve £6500 to spare! I’m not forgetting The National museum of Ireland … another of my favourite places and gift shops! For the special someone in your life, they offer a beautiful thistle brooch, and a silver replica of the Roscommon Brooch. I’m not going to go through all of them, but the NMI do a fine selection of books that are well worth checking out. Just because they are so cute, I have to mention their two Ardagh Chalice-inspired Christmas tree decorations … there’s a ball/bauble-style one and a disc-style one … just lovely! Also take a moment to check out the beautiful artwork by JG O'Donoghue in Cork ... beautiful stuff! I know that a lot of the above are quite pricy, and more represent a personal fantasy wish list than anything else. So, to balance it out I would introduce you to Know Thy Place [Website | Facebook] who do the most remarkably well researched, and aesthetically pleasing, wall charts you can conceive of. You can go for any level of detail you choose, for an island-wide level, to an individual county, or right down to your local parish and townland. They also do an excellent Titanic centenary related version too. They look beautiful, they’re researched by professional archaeologists, and they would grace any wall on which they were placed – go give them a look! The final recommendation on my list is here for a very special reason – this year my Christmas present is coming from here … and I’m honestly so excited already! Montague Heritage Services [Website | Facebook] have a huge number of strings to their collective bows including media consultancy, event organisers, educational and craft displays. However, it is in their guise as purveyors of replica items that I am currently thinking of them. They now provide a wide selection of silver replicas, including pendants, brooches, etc. 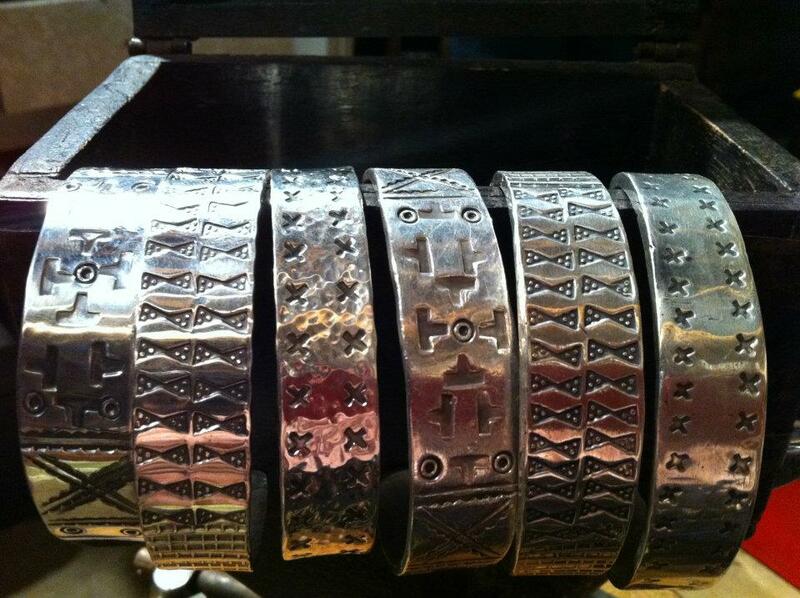 If I could pick just one piece to highlight above all others, it would have to be the replica Viking armbands. They’re just so lovely! They also sell some extraordinary wearable and usable replicas. I would direct your attention to the various helmets (because they are just so incredibly cool! ), but also the cauldron, combs, swords, knives etc. Not that I want it, but there’s even a replica Shrew’s Fiddle/ Neck Violin … but if it’s your kind of thing, I’m not going to judge! … In short, they have everything to kit out the perfect medieval home. Well, that’s my roundup of what’s cool for Christmas … a collection of stuff I know is brilliant, some that I’d love to have, and some recommended by my assortment of friends! Now here’s your chance! … what do YOU recommend for the debonair archaeologist about town? What gift do you think would be perfect? What would you like to receive? What have I forgotten? Do you produce the perfect gift or service? Have you written a book? … tell me in the comments below! I’ve not forgotten about those folks who asked for a time machine, either … there are instructions to build your own just here. But beyond all the gifts, food, and drink – however you choose to celebrate it and whatever you choose to call it – remember to love each other, be kind to each other, but most of all cherish the archaeologist in your life! Rose M. Cleary & Hilary Kelleher. The Collins Press, Cork, 2011. xxiv+456pp. ISBN-13: 9781848891333. £34 (via Amazon) or €39.99 (via The Collins Press). Tullahedy, Co. Tipperary, is a site that (it seems to me, at least) has been hanging around on the edges of knowledge for some time. The earliest mention of the excavations that I can find in my own library is a brief note in Archaeology Ireland from 1998, noting the richness of the recovered finds and the depth of stratigraphy there (Anon. 1998). This mention, confined to the bottom of a single page, related to the initial set of excavations carried out as part of the N7 Nenagh Bypass. At this time the site was partially excavated and the remainder preserved in situ. When the bypass was upgraded the remainder of the site was opened and investigated. There was a fleeting mention of the site, as part of the grand range of sites investigated on the N7, in an early edition of Seanda (O'Keefe 2007). Seanda magazine followed this up with a longer, more in-depth, article some time later (Kelleher 2010). The most recent paper on the site, that I have seen, is by Sternke (2010) discussing some aspects of the lithic assemblage of the site. I reviewed the latter paper as part of the NRA’s Creative Minds volume. While I found the assemblage itself of great interest and significance, I was unconvinced by the author’s unorthodox interpretation. My concluding remark was that the ideas presented are ‘intriguing and deserves further study’. While I did not state it directly, my feeling at the time was that I would really like to see a final publication on this remarkable site, to help put these ideas into their correct context. Now my wait is over! The National Roads Authority have broken with their usual Monograph Series to join forces with University College Cork and together have produced this magnificent volume. Hilary Kelleher pens the Introduction, setting the topographical context and succinctly describes the state of knowledge on the site before investigations began. In The Excavation Kelleher goes on to describe the appearance of the site before excavation, lays out the methodology for Cuttings A-H, and provides a summary of the phasing. This is followed by a masterful presentation of the core excavation data. In Phase 1 the site was an enclosed Neolithic settlement complex, which had been constructed on a small hillock. Unfortunately, the hillock had been extensively quarried in the past, leaving only the lower slopes intact. Although now on dry land, the majority of the site was originally surrounded by the waters of a lake. The main features of this phase are two rectangular Neolithic houses (Structures 1 & 2), and their associated hearths which lay within a slight hollow to the south-east of the mound. A third Neolithic house (Structure 3) was excavated near the lakeshore. The houses showed evidence that they may have been burnt down. Along the landward approaches, to the north-west and west, the site was protected by a palisade fence of oak planking. Also from this period was a cobbled surface along the edge of the lake, as were some 268 pits of various shapes and sizes, concentrated along the southern and eastern sides of the mound. The pits produced a remarkable collection of finds, including various stone tools, polished axeheads, and pottery. Cereals recovered from these features included the charred remains of wheat, oats, and barley. Phase 2 relates to the post-occupation activity at the Neolithic houses. Both the pits and the houses were later covered with charcoal-rich layers. These layers produced polished stone axeheads, flint arrowheads and scrapers, along with a considerable corpus of pottery. Organic remains from these layers included charred hazelnut shells and apple pips, wheat grains and some barley. During Phase 3 the appearance of the site was radically altered by the dumping of over 1m of glacial till on the lower slopes of the hill. Along the north-western side of the mound, the redeposited layers were cut through by a later scarping/ditch. At approximately the same time, a new and larger palisade fence was constructed on the landward side of the site. Phase 5 activity dated to the Medieval period and relates to a number of pits and layers, etc. some of which produced residual Neolithic material. Finally, Phase 6, details the modern activity on the site, chiefly a trackway created c. 1905. Be under no illusion, much of this section is highly technical and makes for difficult reading, requiring your full attention at all times. At over 100 pages, it is the single longest chapter in the book and represents the primary data on the site. In reviewing Corrstown: A Coastal Community. Excavations of a Bronze Age village in Northern Ireland, I argued that such a commitment to making this baseline level of detail available is crucial to the value of the work for future researchers. While the interpretations and analysis of the book are of the highest level, scholarship inevitably moves on. Presenting this relatively ‘raw’ data will allow future students to re-interrogate and re-evaluate the site, largely unencumbered by layers of interpretation. I complimented and congratulated the Corrstown authors (Victoria Ginn & Stuart Rathbone) on having the courage to take this approach in favour of simply presenting an edited synthesis of the site which omitted this data. Similarly, I congratulate Cleary and Kelleher for ensuring that this book will have value and this site will have relevance far into the future. In The Physical Landscape Anthony Beese places the site in its broader geological setting. He describes the Late-Glacial to Early Holocene and Neolithic landscape, and provides a useful discussion of the composition of the Phase 3 infill layers. This is followed by Kerri Cleary’s description of the Neolithic Landscape of Tullahedy. Cleary skilfully weaves together the disparate threads of evidence for the Neolithic in the Tipperary area with broader concepts of the place of such a monument within the landscape. She draws out the idea that the Tullahedy mound, projecting from the mire, may not have been easily accessible. While it would not have been seen as a ‘central place’ in the traditional sense, its very isolation could have been a determining factor in its selection as a meeting place for diverse social groups. She deftly combines the excavated evidence for deposition of pottery and stone in pits from the N7 road scheme as a whole, with the most recent research on the significance of deliberately returning artefacts to the earth. I was particularly interested in her treatment of ‘mundane stone’ in pit fills – it reminded me of some of the, largely inexplicable, features at Ballyloran, near Larne, Co. Antrim (Chapple 2009). A number of the features uncovered there, also of Neolithic date, appeared to have been constructed for the express purpose of burying ‘ordinary’ stone. I speculated that it may have had important associations to those who created the sites and undertook the burials, but that such levels of significance now elude us. It is heartening, indeed, to see similar excavated remains being seriously considered in similar ways. Cleary also puts the Neolithic houses within their wider context. The houses are ‘less regular in plan’ and date to the end of the Early Neolithic. In particular, she parallels both the houses and their settings with the excavated remains at Lough Gur, Co. Limerick. Other parallels to Lough Gur include the pottery, axe-head assemblages, and (to some extent) the lithics. In this way, she argues the both Lough Gur and Tullahedy functioned as regional centres at the end of the Early Neolithic. Rick Schulting presents The Radiocarbon Dates. Eighty-two samples were AMS radiocarbon dated, using only short-lived materials. The returned determinations consisted of 69 dates from the Neolithic (Phases 1-3), with the reminder divided between the Early Christian (Phase 4) and Medieval periods (Phase 5). Of these, 71 are new to the Irish Radiocarbon & Dendrochronological Dates Catalogue [Facebook site], and the remainder provided additional information and the opportunity for data checking against those already publically available. Despite the quality of the dates, Schulting observes that on their own they ‘provide little sense of finer-grained sequences of activity at Tullahedy’. To this end, he uses Bayesian statistics to create models of activity sequences on the site. His analysis indicates that life of Structure 1 began around 3680-3540 cal BC and ended in the period 3640-3480 cal BC. Structure 2 began slightly earlier, in the period 3795-3385 cal BC, and ended around 3630-3250 cal BC. The dates for the palisade trench indicate that it was, unsurprisingly, broadly contemporary with the houses, if not slightly later than their construction. The combination of the Early Christian dates indicates activity there in the period from the 8th to 10th centuries AD, and during the Medieval period from the 13th to the 15th centuries. Within these broad periods, the Bayesian models indicate that activity at either period may have been relatively short lived, possibly encompassing only a few years. Schulting’s analysis indicates that, overall, the Neolithic activity at Tullahedy probably began around 3670-3645 cal BC and continued until 3510-3460 cal BC, lasting between 145 and 205 years. Although the structures here fall within McSparron’s ‘House Horizon’, they appear to be slightly later, continuing on into the 35th century BC. 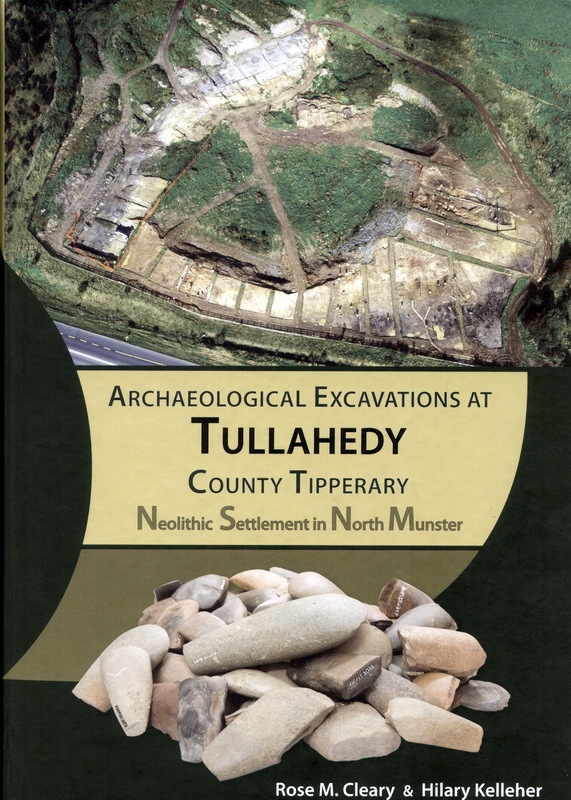 As we were already aware, Tullahedy is an important site and an important addition to our knowledge of Neolithic Ireland. Beyond that, Schulting’s analysis is a significant use of Bayesian modelling for this period, and joins such major studies as Corrstown, Gathering Time, and McSparron’s original work on the ‘House Horizon’. The analysis presented here is excellent not only in itself, but as an example of how even the best quality dates can be made to become more than the sum of their parts. I would, reluctantly, point out a small number of typographic errors and inconsistencies in the data presented here. Three dates, in three different places (pp. 147-8), are all given with the laboratory identifier of UBA-15292 and the returned determination of 4763±31BP. All are from Phase 1 and are described as being derived from two pieces of charred hazelnut. One is given as from Cutting G, while the other two are from Cutting D. The originating context numbers are, respectively, given as C923, C1017, and C124. I suspect that one of these was intended to be UBA-15249, which is listed on p. 150 in the context of the palisade fence, but not in the main body of the returned dates. Two different dates are given as UBA-15260 (pp. 147-8). One is given as 4802±33BP and described as being from Phase 1, Cutting B, Context C341, and to have dated two pieces of charred hazelnut, while the other is given as 4733±34BP is reported to have come from Phase 2, Cutting B, Context C426, and have been returned from two pieces of charred hazelnut. A number of other dates have apparent discrepancies between the detail published in the appendix to the Creative Minds volume (Stanley, Danaher & Eogan 2010) and the data given by Schulting in this monograph. In the case of UBA-11179, Stanley et al. (p. 118) describe the sample as "Charred seed or hazelnut shell from the cut of a posthole in structure 3", while Schulting (p. 149) gives the source as wheat/barley from the West foundation trench of Structure 1. Schulting (p. 149) gives the raw determination of UBA-11182 as 4735±33BP, while it is given in Stanley et al. as 4718±33BP. A final example is UBA-15311, which was given as 4750±33BP in one place (p. 149), but as 475±33BP in another (p. 147). As the date is described as coming from Phase 1, it is clear that the four-digit version is correct. I fully realise that these are, ostensibly, trivial and nit-picking points that only refer to the presentation of the data. They do not in any way diminish Schulting’s scholarship, nor the vital importance of the Tullahedy monograph. However, as I’ve argued before (and here) the greatest value in radiocarbon dates lies not just in what they can tell us about the individual site that they were commissioned for, but for their reuse in future research. For this reason, we must be incredibly careful that the dates, and their associated meta data, are clearly, consistently and correctly reported at all times. Every time a date is incorrectly reported, it opens up the possibility that a degree of error is passed to the next level of analysis, along with a corresponding diminution in the confidence in which it may be held. In an effort to resolve this issue and help increase the confidence in the dating, I took the relatively unusual step in a book review, of contacting Rick Schulting and asking for his comments and assistance. Rick has been able to confirm that in his original draft of the piece, there is only one reference to UBA-15292, from C923. Similarly, he only has one reference to UBA-15260, from C341. With regard to the discrepancies in the detail associated with UBA-11179, Rick checked with Dr Meriel McClatchie, who carried out the original identifications, and has confirmed that the data given in this volume is correct. Schulting is also able to confirm that UBA-15311 is, as I surmised, meant to be 4750±33BP, not 475±33BP. In his correspondence with me, Schulting points out (and I am quick to agree) that these errors, while unfortunate, are errors only in the presentation and layout of the information in the tables and in no way compromises the integrity or validity of the Bayesian models. Meriel McClatchie presents her Analysis of Non-Wood Plant Macro-Remains. Some 169 samples were found to contain non-wood plant macro-remains, making it one of the largest and most important assemblages of its kind from Neolithic Ireland. During the Neolithic at Tullahedy emmer wheat was the dominant cereal crop, though occasional instances of naked barley and flax were also recorded. Large quantities of charred hazelnut shells were also recovered, along with crab apple and bramble. Oats and hulled barley were the dominant cereals in the later Phases, though occasional instances of rye and naked wheat were also present. The importance of gathered foodstuffs, in particular hazelnuts, appear to have greatly dwindled, thought a larger corpus of arable weeds were present during Phases 4 and 5. For the expert reader, McClatchie provides all of her baseline data in Appendix 6.1: Plant macro-remains recorded in all examined deposits. The Wood Remains are introduced and discussed by Ellen OCarroll. Some 3,251 charcoal fragments were recovered from 76 samples and identified to species. While the Neolithic samples contained a number of wood types, including elm, pine, ash, etc., the assemblage was overwhelmingly dominated by oak (c. 79%). OCarroll argues that the volume of oak was such that it was readily available in the surrounding landscape, and in sufficient quantities to be the major wood type utilised throughout the Neolithic phases of the site’s life. This is in contrast to the charcoal recovered from the later periods, which contained a broader range of wood types, suggesting that a more varied landscape existed by this time. Another interesting point noted by OCarroll is large difference between the volumes of recovered hazelnut shells and the low incidence of hazel charcoal, indicating that while the nuts were sought out as a food resource, the tree does not appear to have been deliberately selected for firewood. Also, the single pit dominated by pine charcoal is interpreted in a ceremonial/ritual context, possibly as a totem pole. Again, this chapter is followed by an appendix (Ecological information relating to each wood taxon identified) aimed at the more specialist reader. The final portion of Chapter 6 is a discussion of the small quantity of Animal Bones examined by Margaret McCarthy. While the physical condition of the bone was quite poor (c. 96% could not be identified), cattle were clearly the dominant species, indicating the importance of beef in the activities carried out at Tullahedy. Adult specimens of ovicaprids and pig were also identified. The site is typical of Neolithic assemblages in terms of the proportions of domesticates. Again, an appendix containing the detail of the Faunal Remains Assemblage is included for specialist study. Farina Sternke (with contributions by Anthony Beese, Helena Knuttson, and Richard Unit) examines The Stone Tools. Some 105 polished stone axes were recovered from the site, across all major features and phases. The majority of examples were constructed on sandstone, chert, and siltstone/mudstone. Many were fragmented and in a poor condition, owing to burning, weathering, reworking etc. Despite these apparent drawbacks, the assemblage is of great regional significance, being one of the largest ever recorded from Munster. The remainder of the stone tool assemblage is equally impressive, including 1290 chert flakes, 71 flint flakes, and 10 worked pieces of quartz crystal etc. As well as the significant Early to Middle Neolithic lithic assemblage, there are a small number of pieces of Late Mesolithic and Late Neolithic/Early Bronze Age date, which attest to the longevity of the site as significant place in the landscape. Sternke argues that the majority of chert blanks for the formal tools were created elsewhere – close to the local outcrops – and only transported to the site for final modification. Use-wear analysis indicates that a number of the flakes and blades were employed in a number of ways, including plant processing and woodworking. However, the main focus of the stone tool manufacture at Tullahedy was clearly on the manufacture and reworking of leaf/lozenge-shaped arrowheads. This is one of a number of avenues for further research identified by the author – who was creating and maintaining these items and why? Who were their enemies and how did they perceive their place in the landscape. It is this realisation that while this may represent the published version of the ‘Final Report’, it is not the last word on the site. This is why the inclusion of the appendices of raw data is so important for both future interrogation of that data and re-evaluation of the site as a whole. The Stone tools chapter contains appendices on the polished stone axe-head assemblage, lithologies of stone axe-heads, axe flakes and other stone tools, and the stone tool assemblage – more than enough to keep professional lithics specialist and the dedicated student enthralled. As a minor, and wholly personal, aside, I would note that the use of the term ‘hone stone’ (there were 14 in the assemblage) is anathema to me. This is not, in so far as I am aware, for any inexactitude in the term, but more the influence of my late teacher and friend, Professor Etienne Rynne. Any mention of a ‘hone stone’ in conversation with him brought the instant and stinging rebuke that ‘hone implies stone … all you are saying is: I found a stone stone.’ After a certain amount of time the Pavlovian reaction set in and, to this day, I am unable to hear or read ‘hone stone’ without inwardly wincing. Rose M Cleary presents The Pottery from the site. Pottery was recovered from all phases of the excavation, but in particular from Phases 1-3. 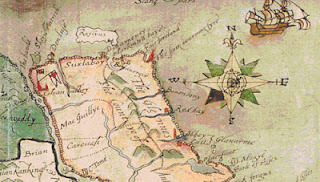 The Medieval activity at Tullahedy was responsible for a large amount of redistribution of material into later features. Portions of vessels recovered from the fill of the house foundations and from the palisade trench were quite weather worn and may have been redeposited as packing material from a domestic midden. While this is, ostensibly, a case of recycling refuse Cleary notes the possibility that there was a deliberate ritual involved in the process. Nonetheless, there is no clear evidence for the dispersal of individual vessels across features or indications that pottery was only deposited in specific loci. Overall, the pottery was well made and shows extensive use as cooking vessels. Analysis of the residue on some of the pieces suggests that they contained animal fats and dairy products, presumably milk (see also: here). Interestingly, Cleary argues that although granite cobbles are occasionally found within the esker, they are pretty rare and suggest that they were sourced to be used as temper for the pottery at some distance from the site. Similarly, the clay for the pots could not have come from within the surrounding valley, where the bedrock is of limestone and shale. The chapter also includes a comprehensive catalogue of vessels by feature. Other short pieces include a Petrological Description of Pottery by Richard Unitt and the results of the Absorbed Residue Analysis by Lucy J. Cramp and Richard P. Evershed. Additional appendices include Radiocarbon dates associated with pottery, Pottery illustration and context concordance, and Pottery context, Phase, % of assemblage. Kerri Cleary, with petrographic assistance for Richard Unitt, provides an assessment of the Stone bead and pendant from the site. The pendant is of steatite and the bead is of siltstone, and it is argued that both are of Neolithic type, despite the bead being recovered from the basal fill of the Early Christian ditch. Both are of rare type and are important additions to our knowledge of personal ornament in the Irish Neolithic. The final chapter, Discussion, by Rose M Cleary attempts the near-Herculean task or putting the entirety of this important excavation into context, not just of the Irish Neolithic, but beyond drawing parallels with British and European evidence. First and foremost the Tullahedy mound would have been a dramatic, and easily recognisable, topographic feature in a relatively low-lying landscape. While the evidence is clear that the site was used for domestic habitation, Cleary points to significant gaps in our knowledge, including the nature of that settlement: was it a seasonal retreat, or a permanent base. Nonetheless, there is evidence of some degree of mobility in that both the animal and cereal remains all suggest that the occupants of the site would have had to draw these resources from beyond the near confines of the site. For example, cereal cultivation implies the presence of enclosed fields, while cattle and sheep would have required extensive pasture resources. The presence of exotic materials also implies that Tullahedy acted as a focus for trade and social interaction. All these features: the late date of the houses, the exotic materials, the enclosure and apparent defence of the site all indicate that it was an unusual and special place in the landscape. All I can add to this is that the Tullahedy monograph is an excellent example of high quality academic publication that still manages to be accessible to the more general reader. If you are not a specialist in any of the archaeological sub-disciplines contained here, there is still much to interest you. Indeed, many of the most technically involved pieces present excellent introductions to the speciality as well as the material under review. 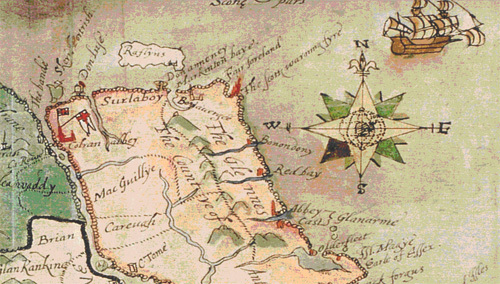 To any professional archaeologists reading this – in particular those who do specialist analysis and research - I would simply say this: any future work you do related to this portion of Neolithic Ireland that does not reference and integrate the material from Tullahedy will be judged to be incomplete and sub-standard. Need I say more? : Go order a copy today! Anon. 1998 ‘News: Neolithic Nenagh’ Archaeology Ireland 12.3, 6. Chapple, R. M. 2009 'Excavations at Ballyloran, Larne, county Antrim' Ulster Journal of Archaeology 68, 1-26. Kelleher, H. 2010 ‘An unparalleled Neolithic enclosure and settlement at Tullahedy’ Seanda 5, 52-55. O'Keefe, P. 2007 ‘Through the valleys and hills: travels on the N7’ Seanda 2, 44-46. Sternke, F. 2010 ‘From boy to man: ‘rights’ of passage and the lithic assemblage from a Neolithic mound in Tullahedy, Co. Tipperary’ in Stanley, M., Danaher, E. & Eogan, J. (eds.) Creative Minds: Proceedings of a public Seminar on Archaeological Discoveries on National Road Schemes, August 2009. Archaeology and The National Roads Authority Monograph Series No. 7. Dublin, 1-14. If you’re going to do any shopping through Amazon, please go via the portal below. 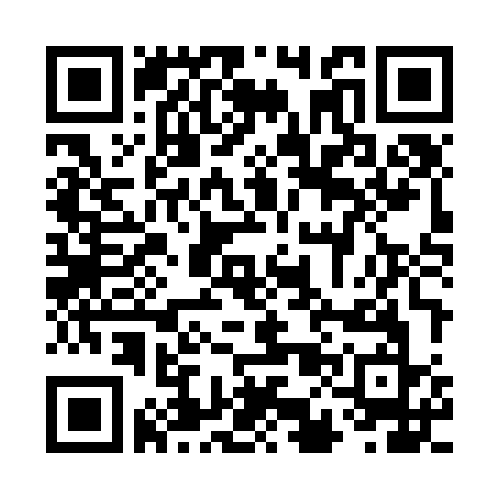 It costs you nothing, but it will generate some advertising revenue for this site!